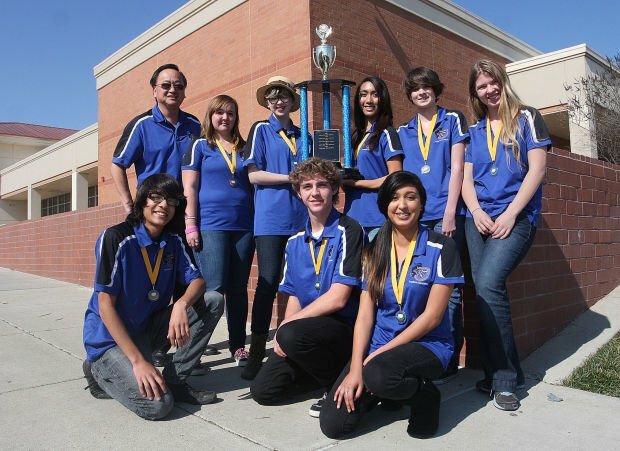 LEMOORE — As a small charter school with only 240 students, oft-overlooked Lemoore Middle College High School is getting some extra attention after capturing the Kings County Academic Decathlon for the first time. 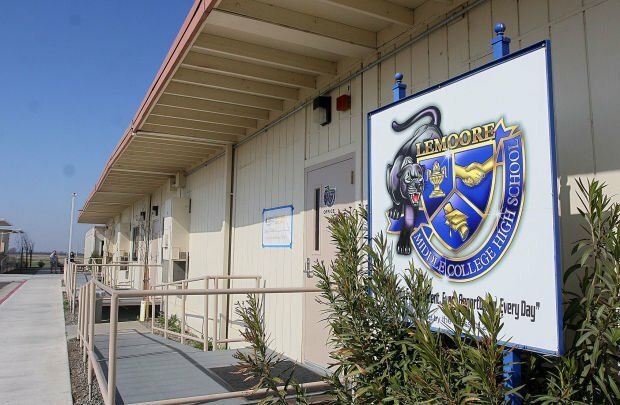 The tiny school, situated on the West Hills College Lemoore campus, upset perennial winner Lemoore High School in the competition at Corcoran High School that concluded Feb. 2. The team bested five other county schools in the event. As a sign of their newfound celebrity status, the Lemoore Chamber of Commerce recognized the team and provided the students with certificates during its monthly luncheon on Wednesday. Rosa said he believes the team won because they put in extra effort compared to the other schools. Also, because this was their fourth year competing, the students were more experienced this year. “They have a commitment to their coach and really wanted to win it for him as well as themselves,” he said. As a small school that doesn’t have an athletics program, Rosa said there are not very many extracurricular activities students can participate in. The school is more focused on college prep courses, giving students the chance to take college classes and use the West Hills facilities. Rosa said the lack of many clubs makes the decathlon team even more important. Isabela Diaz, a senior and leader of the team, received five scholarships from the decathlon, netting $2,000. She was chosen as the top decathlete, top honors student, top student from the school and top student in science and economics. Diaz said she was extremely surprised when she found out the team won. Although she said the team worked hard, the school’s lack of previous success gave her low expectations for the competition. Diaz said she was really happy when she found out about the first scholarship. When they kept coming, however, she said she was in awe. This is the second year Diaz has been a part of the team. She transferred to the school at the end of her freshman year at Sierra Pacific High School when her dad, who is in the Navy, transferred to Naval Air Station Lemoore. Over the course of three years, she has taken 12 college classes. “It’s been a challenge juggling everything, but it’s been worth it,” she said. Diaz said she’s enjoyed her experience at the school more than she did at Sierra Pacific, although she said it was difficult at first because she didn’t know any of the students. Diaz said she intends to continue taking classes at West Hills after graduating. She plans to attend a four-year university and major in nursing. She said she wants to use some of her scholarship money to pay for classes at West Hills, but save the majority of it for college. In the meantime, she said she will keep applying for more scholarships. The next step for the group is the state championship in Sacramento from March 14-17. Although students will be tested on the same material they studied for the county event, there will be tougher competition. Coach Allen Tong said he is feeling positive about the competition and is looking forward to seeing how the team matches up next to the other counties. The reporter can be reached at 583-2429 or by email at jluiz@hanfordsentinel.com. HANFORD — While most Kings County students have to focus on their classroom work, a group of students are honing their testing skills. LEMOORE — Lemoore Middle College High School showed last weekend that sometimes you can capture lightning in a bottle.